*WARNING* There are spoilers relating to The Lion King, Walt Disney in this article. Genre: Action & Adventure, Animation and Drama. 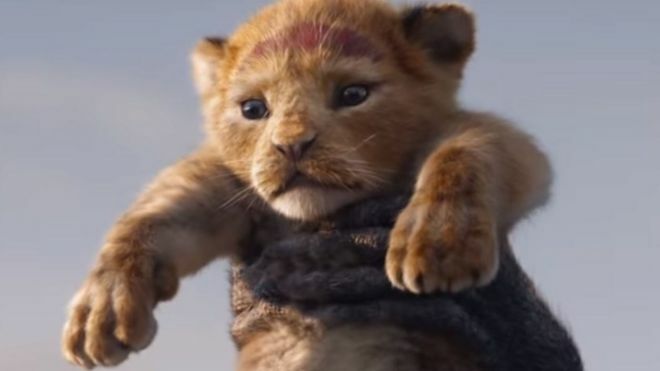 In case you forgot what the lion kings about, its about a young lion named Simba who is the new prince born in Africa, His uncle Scar therefore is placed second in throne. Scar being power hungry, kills Simba's father who is King Mufasa and after his death, he convinces Simba that he was the reason for his fathers death. Walt Disney has decided it has come to the time, where our iconic movie 'The Lion King' comes back to life with realistic features being used. With the help of the directors of 'The Jungle Book' we will witness the most greatest upgrade of all on July the 19th this year which will feature voice overs from cast members such as Donald Glover, better known as the Childish Gambino - This is America singer who will be playing Simba and better yet, our Queen Beyonce Knowles-Carter who will be playing Nala. I cant think of a better duet than from the two of these gifted musicians/actor/actress. ARE YOU AS EXCITED FOR THE LION KING AS WE ARE?